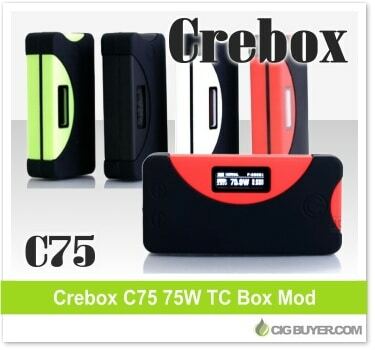 Touted as the “world’s first waterproof box mod,” the Crebox C75 Mod from IJoye offers up to 75W of output with temperature control. A few other devices are considered water resistant, but the Crebox is fully sealed in high-end ABS material and can actually be submerged in water. It’s designed for the active vaper and includes a 2400mAh internal battery with 2-line OLED screen, dust proof sillcone cover and micro-USB charging. Compatible with kanthal, Ni200, Ti and SS coils, it can fire at resistances as low as 0.1 ohms.